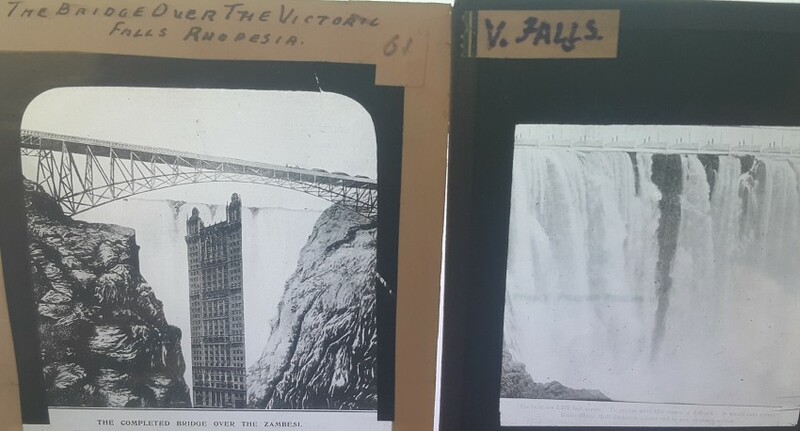 Magic Lantern Slides - a collection. 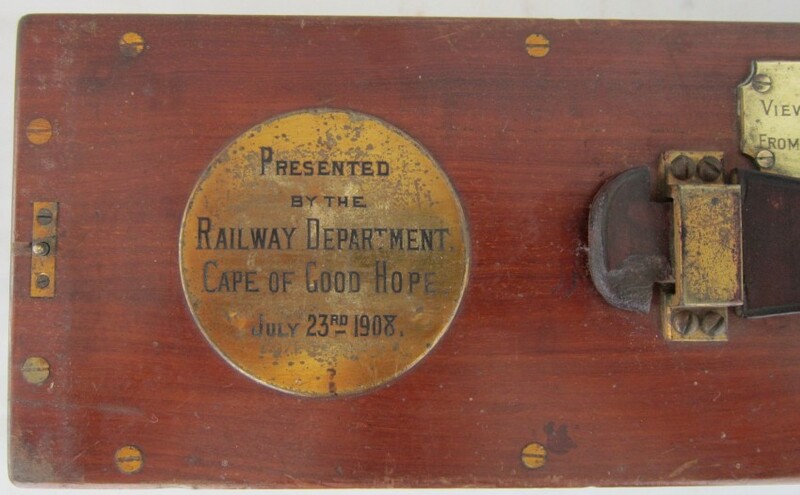 Box: Presented by Railway Department of the Cape of Good Hope, 23 July, 1908. 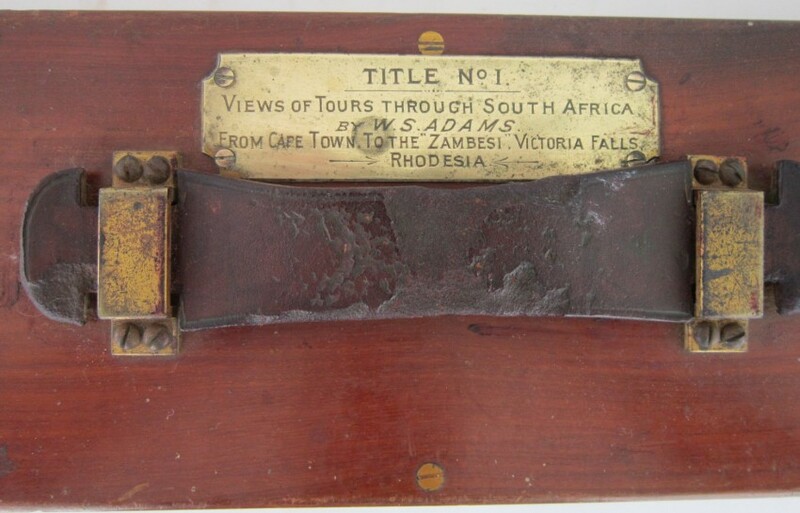 Views of Tours through South Africa, Cape Town to Victoria Falls. 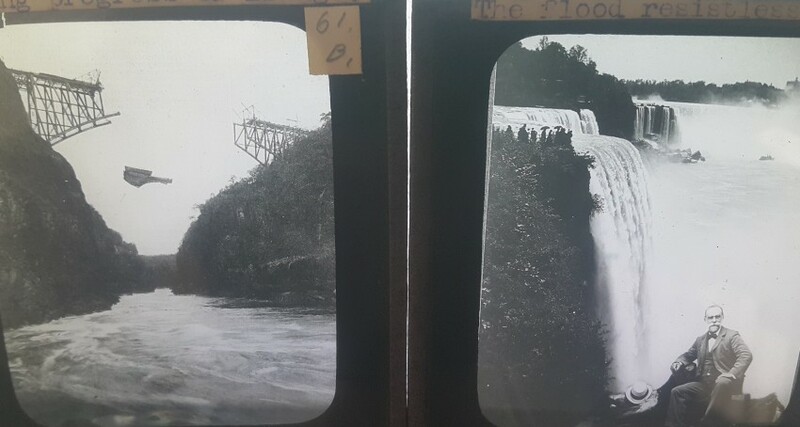 28 Slides - Kimberley and Diamond Mines. 11 - The Gold Fields. 5 - Delagoa Bay. Waterval Boven. 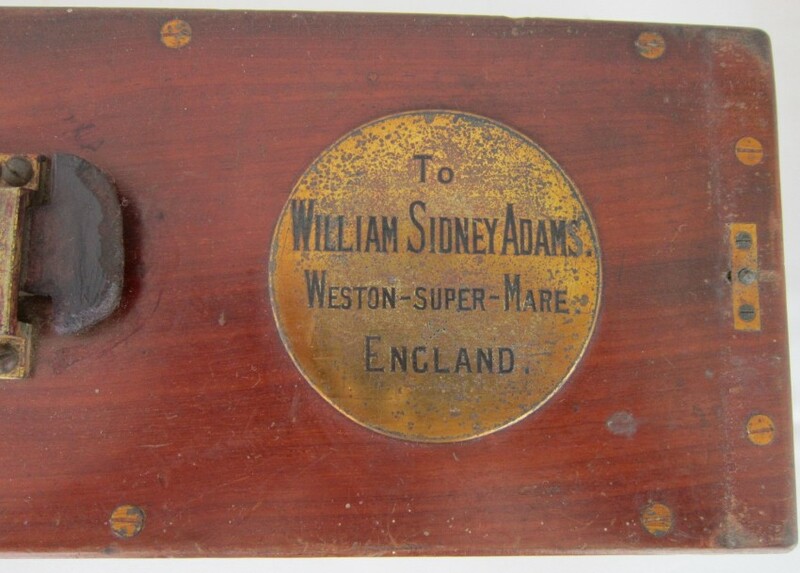 Donkey cart. Voltemade wreck. Picture from Selous book. 7 - Pietermaritzburg. Bloemfontein. East London. 7. - Port Elizabeth. Port Alfred. 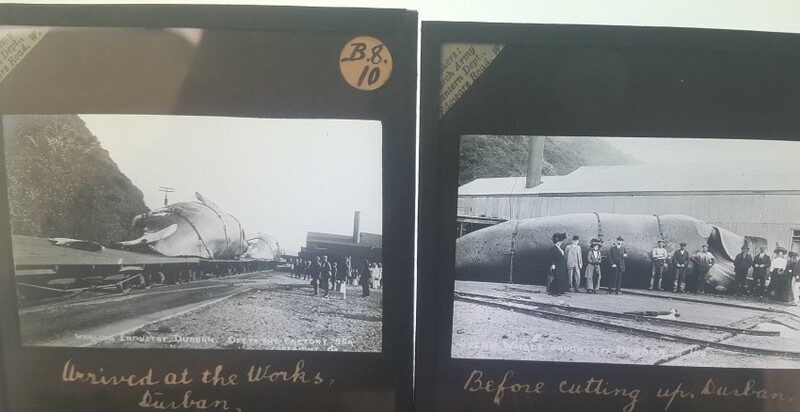 21 - Whaling in Durban. 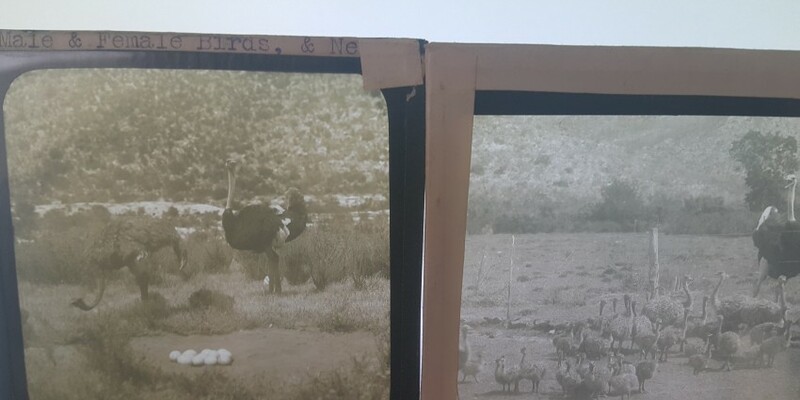 Two slides have cracked glasses. 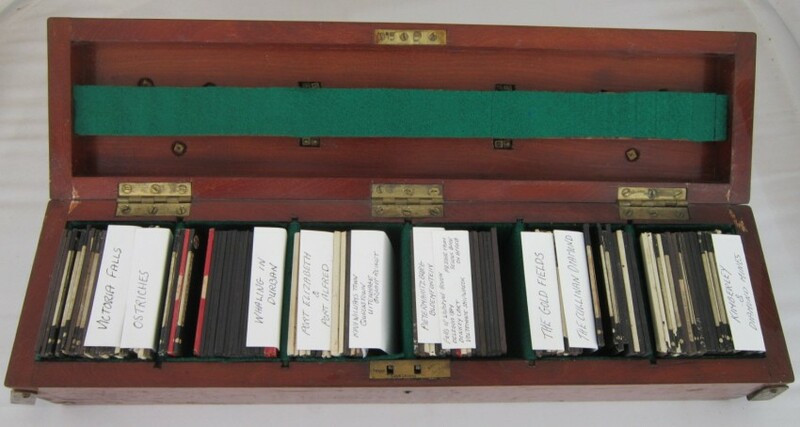 I'm not sure whether these are the slides presented, or rather a collection kept in this presentation box. Weight of box and slides = 8,2 kg. Size: 50 x 12.5 cm. Preferred Payment Methods: EFT or Paypal with a 5% surcharge to cover additional costs.